Security is important for every business, and locks and chains do not provide enough security. Commercial security systems are available in different models. Regardless of the size and the type of protection you need, you can find a suitable security system. CCTV cameras: CCTV stands for closed-circuit television. CCTV cameras can be placed inside and outside of your business. These cameras can help you prevent theft from strangers as well as employees. You can link these CCTV cameras to a control room where your security staff continuously views what is going on at your business. Access systems: Access systems can be installed at the entrance of a property or in front of some rooms or lifts in a business. Access systems require code or access card to enter into that specific area. You can also connect this access system to your CCTV system so you know who is trying to enter the property. Burglar alarms: Burglar alarms can be set-up anywhere at your business. It will signal an alarm when someone enters your business area. Some burglar alarms can be linked to police so they can respond immediately in case of emergency. 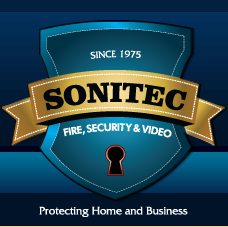 If you are looking for the best commercial security systems for your business, then Sonitec Fire, Security & Video is your choice. They have been designing, manufacturing, installing, monitoring and servicing residential and commercial clients systems for over 40 years. They can help you choose a security system. Call 914-363-0574 today to schedule a free on-site evaluation.